Farmers are feeling the pinch due to lower commodity prices, oversupply and shrinking demand, forcing many into bankruptcy. An increasing number of farmers across the Midwest are lining up to file for chapter 12 bankruptcy as low commodity prices continue to loom and demand crumbles. Bankruptcies among farmers in the Farm Belt are so rampant right now that they've hit a decade high. States in the Seventh, Eighth, and 10th Circuit Court of Appeals reported the highest number of bankruptcies in 2018 compared to 10 years earlier. It's these states that made up almost half of all U.S. farm product sales in 2017. With trade disputes lingering between the US and the biggest purchasers of American farm products, including Mexico and China, Midwest farmers are feeling the crunch. As a result of the recent steel and aluminum tariffs that tacked on sky-high duty charges on various U.S. farm products, orders from certain foreign nations plummeted. Before the trade war, China spent $12 billion per year for American farmed goods. But since then, tariffs on the Chinese have nearly brought the trade to a stop, leaving farmers with tons of crops left behind that they're finding nearly impossible to sell off. 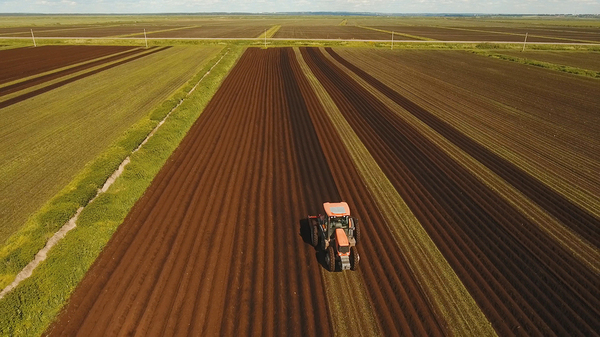 Growing global competition for farm products is also a thorn in the side of U.S. farmers and eating into profits, especially from nations such as Brazil and Russia. Making matters worse, record floods have ransacked a widespread area of the Farm Belt in states like Nebraska, Iowa, and South Dakota, among others. The loss in crops and livestock are estimated to have hit $1 billion just in the state of Nebraska, with more flooding anticipated. With a slump in shipments, products such as beef, pork, and chicken are piling up in inventory, offsetting the supply/demand chain and driving prices down. With lower prices come a cut to profits, placing farmers in a precarious financial position. Lower prices coupled with continued farm debts are placing undue pressure on farmers who are now in a position to make some difficult financial decisions. Many farmers have even taken on second jobs just to pay the bills and have sold off their homes to stay afloat. Others have scaled back on their operations or sold off equipment. 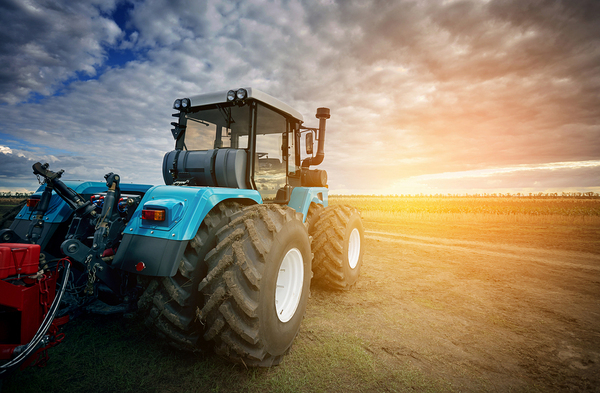 Continued distressed farm loan accounts are placing lenders in a position to more closely scrutinize their loan portfolios. After exhausting all options, many farmers are resorting to bankruptcy in an effort to settle their debts. According to the USDA, over half of farm households in the U.S. lost money over the past few years. Further, their debt increased to over $409 billion, a level not seen in almost four decades. And while productivity has continued to remain robust, profits have still suffered significantly as a result of oversupply and reduced demand. In Q4 2018, loan volumes to fund farming operations expanded by 22 percent to a record $58.7 billion from just a few short years ago, according to the Federal Reserve. And while we've already seen a record number of bankruptcies as of 2018 in the Midwest, more are in store, according to lenders and bankruptcy lawyers. As more and more U.S. farmers continue to sell off their assets, shrink their operations, and get themselves further into debt, it's highly likely that these predictions will come true. What does this all mean for lenders and financial institutions with farming loans on the books? Lenders need to take a hard look at their farm-to-loan portfolios to identify where their weakest links are. Either selling off these loans that are more likely to wind up in default or dedicating a team to handle stressed loan accounts are necessary steps to ensure a robust loan portfolio. To make this easier, assigning a seasoned loan advisor to identify where key changes need to be made can help banks get ahead of the curve and liquidate specific portions of their loan portfolios as soon as possible — and before conditions worsen. And Garnet Capital can help. Stay abreast of the ongoings in the lending realm and sign up for our newsletter today.